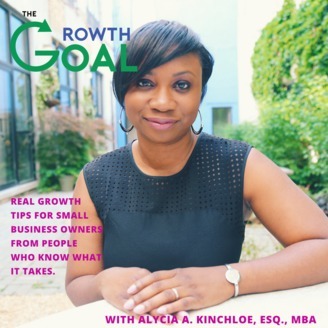 The Growth Goal Podcast is dedicated to helping solo and small businesses owners realize sustainable growth. Our host and guests share their stories and tips to help you move to the next level of your business. Scaling and growing a law practice is just like growing any other business. In this episode we feature Teri Fields, owner of Obiorah Fields, a law firm in based out of South Atlanta. Teri and Alycia will discuss scaling a firm, expanding into new practice areas, and the unique struggles law firm owners face. She’ll explain how she maintains her mental health, manages client expectations, and some of the steps she is taking to reach her strategic goals. Ep. 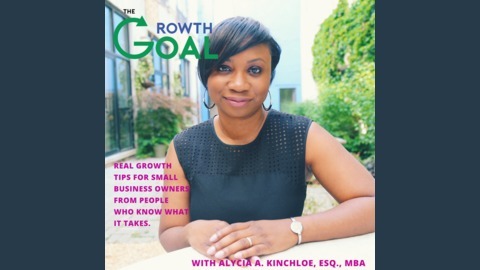 32: "Growing a Business from a Creative Perspective"